But this year, the prizes were all equal. I give out random little prizes during the year, too, but the end of year goodies are bigger. 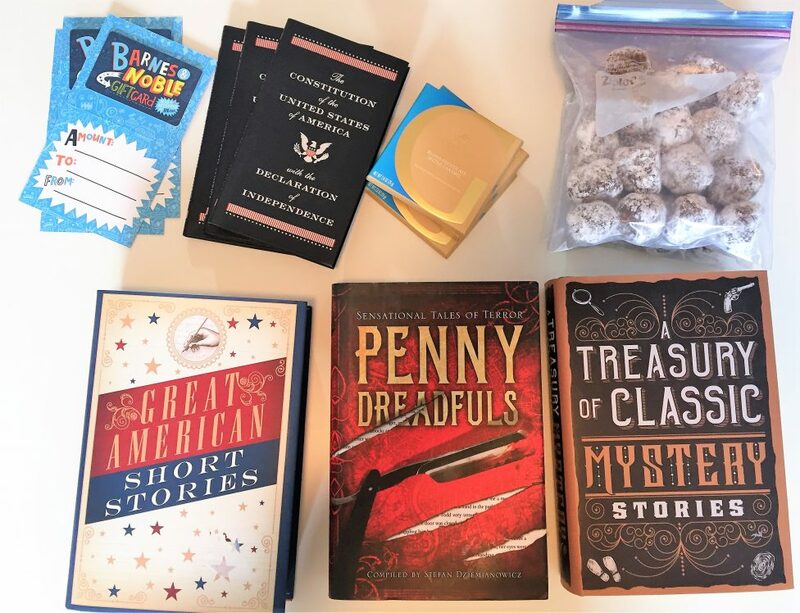 So, this is what everyone got this year: A bag of homemade whiskey balls, from my nana’s recipe; a Godiva chocolate bar, a $5 Barnes and Noble gift card, a pocket version of the US Constitution (because this is where I’m at in 2017, don’t even come for me), and a hardcover book. The hardcovers were different for each recipient, based on what I thought they might like. So, let’s talk about my nana’s recipe here for a minute. I don’t want to share it here, because you don’t just go around sharing your nana’s recipes for things. 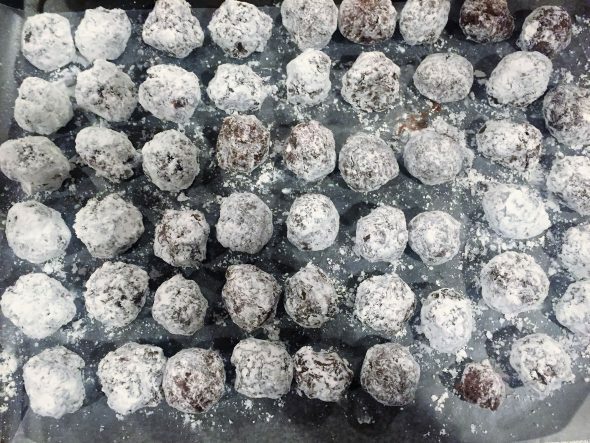 But if you’ve never had a whiskey ball (I hadn’t until very recently, these are not for children), it basically tastes, as my mom said, “like a chocolate munchkin spiked with something.” She is not lying. The whiskey in these should probably be capitalized, because it isn’t subtle. These are a no bake thing, so the alcohol does not burn off making them. It’s chocolate, mixed with ground up cookies, mixed with whiskey. 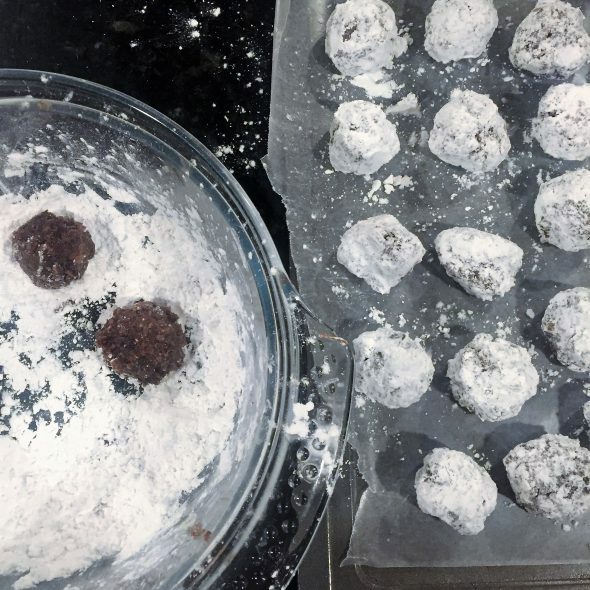 Rolled into balls, and rolled in powdered sugar. The end. Do not eat whiskey balls and drive. But by all means, eat the whiskey balls.